As you get into playing, even as a novice, there is a chance you’ll start collecting “gear”. Everything from the guitars themselves to picks (plectrums) to capos, to strings, to cases…and of course, amps for anyone with an electric guitar. 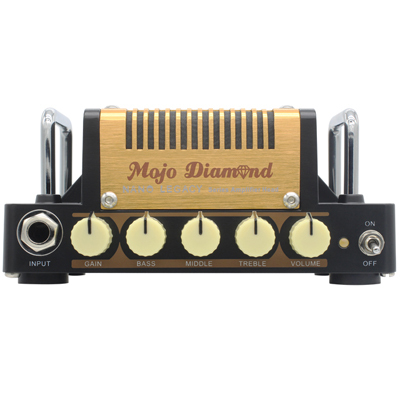 A micro (small) guitar amp is an ideal starting point for many people. Their small footprint making them easy to manage, store and move around. The biggest drawback being they are usually just an amp, so you’ll still need a speaker. But even this can be a blessing as you can usually find very good quality speaker/cabinets at reasonable process, and the flexibility the combo allows is useful. Most people start with a traditional guitar amp. A combo unit with the amp and speaker in a single cabinet. Nothing wrong there, and with so many choices, you can usually find a solid partner. But for those seeking a bit more style, it’s tough to beat a dedicated guitar amp with a separate speaker. Let’s get one thing straight, however. Right up front, it’s important to know that small footprints don’t necessarily mean small price tags. And it certainly doesn’t mean small sounds, as the videos below will demonstrate. Each guitar amp noted here is simply an example. I’ll note my personal experience with the ones I own, but you really need to watch the videos, you need to go to the store and test drive these things or pester a friend who owns one. One cool thing about a small guitar amp is it forces some issues to be dealt with. In a larger combo unit, you can have electronics packed inside to allow you to change tones, manage reverb, and so much more. Bigger footprint means more space for control knobs and options. Smaller footprints mean you need to specialize a bit more. Many manufacturers have taken the approach of setting up individual amp lines for specific sounds. This does limit you after the purchase a bit, which may or may not be a factor for you. I like clean, clear tones, low gain sounds and generally a mellow sound. The micro guitar amp that excels in those areas isn’t necessarily going to be the balls-to-the-wall rocker with plenty of crunch that others may want. This is why research beforehand is important with these mini rockers. This is a new comer to the micro guitar amp scene. Fresh for 2017 the VOX MV50 brings 50 watts of power in a damn near pocketable footprint. By amp standards, it’s tiny. And it’s awfully stylish. No simply cube this thing, it’s all angles and arches. Let’s not think, though, that it’s all looks and no legs. The MV50 rings clearly and loudly. And its got more than a few trick bits up it’s sleeve. There are a couple other models in the lineup, each tailored to a different tone/sound. it’s worth exploring them each to see what meets your needs best. Clean is, well, clean. Rock has classic high gain tones. And AC has classic crunch. The Mojo Diamond from Hotone is a very nice option. I have one of these, and it’s my everyday practice amp. Don’t let the modest 5 watt output from this tiny guitar amp fool you. It’s plenty capable of filling any room in your house with rich, vibrant sound modeled after the original Fender Tweed. I reached a ton before buying this, and still feel it’s the right choice for me. Are you going to gig with it? Probably not, but if a discreet practice amp with clean, powerful sound is on your list, check this one out. Again, they have several personalities of amps available. Mojo Diamond is the clean one. The Purple Wind sounds like a Marshall Plexi, the Heart Attach is for metal players with that classic high gain sound and the British invasion captures the essence of the original VOX AC30. If you like big sound in small packages, also check out Orange. They have some epic guitar amps in small sizes. The Terror line gives you a tone of value for the money, and retains a small footprint. 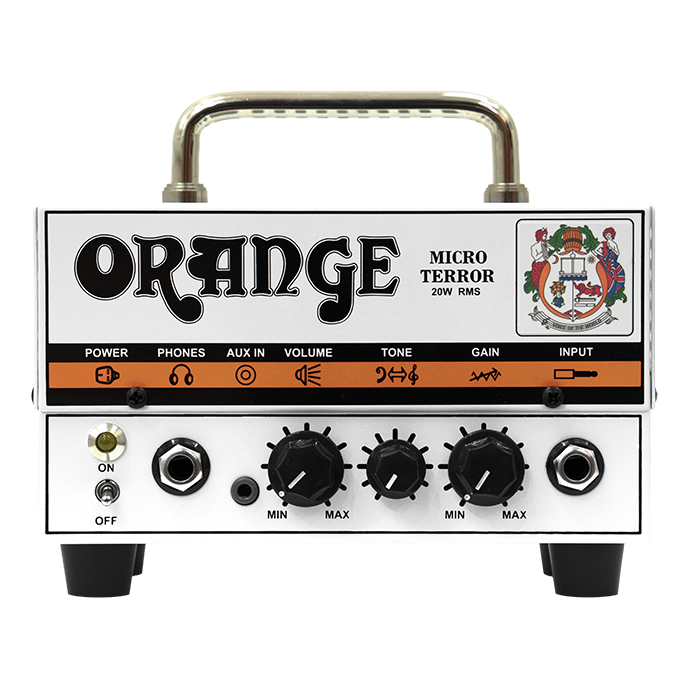 I have the Terror 1 and it offers 20 watts from a single channel, hybrid – valve pre amp with solid state power. It also has aux in for an MP3 or CD player. When I want to be loud, this is my go-to amp.